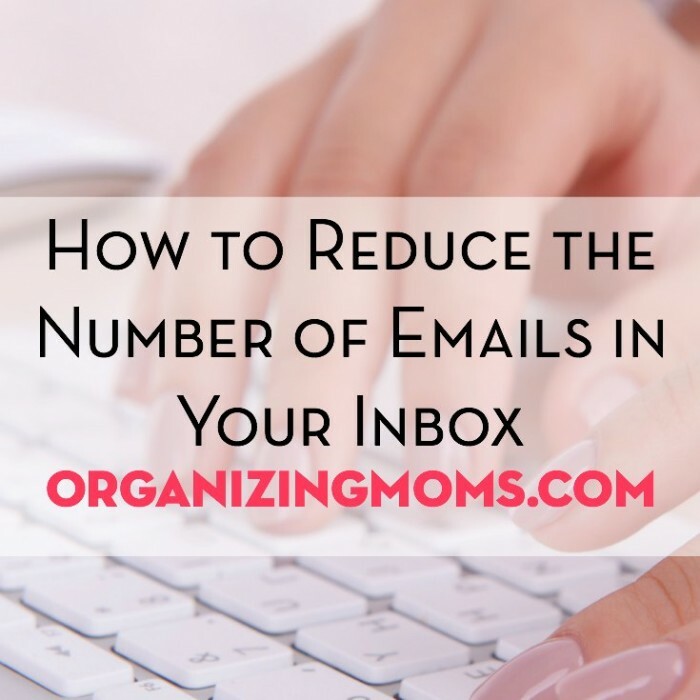 There are two types of emailers: those who keep their inboxes as close to “zero” unread messages as possible, and those who have 20,000+ unread messages. I am the latter. For a while, I just didn’t care about this at all. If I saw a message I wasn’t interested in, I just didn’t click on it. If I needed to find it later, I would use the Gmail search function to find it. This system wasn’t pretty, but it worked for me. Then my inbox started to get fuller and fuller. It was getting harder to find things I needed because there were so many things that would come up in searches of my own mailbox. I decided that I would get my inbox to zero, even if it took me a few hours. It took more than two hours, and I’m not finished with this project yet, but here are the things I’m doing/have done to reduce the number of emails in my inbox. Use unroll.me to unsubscribe. This service helps you unsubscribe to email lists you don’t want to be on anymore. I had 139 active email subscriptions. It was obnoxious. Use unroll.me to consolidate email subscriptions you want to keep. You can use unroll.me to have all of your email subscription messages sent to you in one single message, once a day. I’ve used this for a couple of days, and it’s been really nice to just scan one message (instead of fifteen! ), and then delete it if it doesn’t contain anything I’m interested in. Turn off notifications. I was getting all kinds of crazy notifications from Facebook that I didn’t need. Make folders. For the emails that you need to keep, file them in folders. I made folders for trip plans, taxes, emails from certain people, teaching Spanish to kids, and organizing ideas. Make your folders fit your specific needs. Start deleting in bulk. 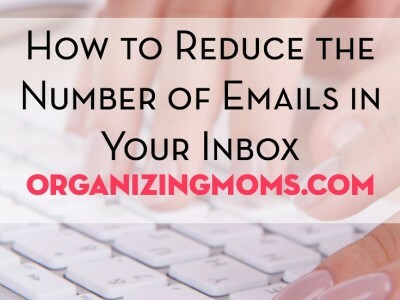 Start using your email search functions to find messages you can delete. For example, I searched for emails from Outback Steakhouse (which is awesome, but I don’t live by one anymore, so I don’t need to get their almost-daily emails! ), and they all appeared in one list, and I was able to delete them in bulk. Delete the other random messages. This is more tedious, and takes more time. Going through old messages takes forever. I hate this step, and I’m still not done with it. But I’m too chicken to delete everything at once, which is what a lot of people do. Maintain. When I get new messages that I don’t need, I unsubscribe from the lists right away. Unroll.me caught most of my subscriptions, but not all of them. I also try to go in to my email at least once a day, do some deleting, and tend to the new messages. My inbox is now in the 3,000+ messages range. I’m still working on getting to inbox zero, but doing the seven things listed above has gotten me a lot closer to my goal. Another stumbling block I’ve run into is not remembering my username and passwords for different websites. I still don’t understand why my passwords for grocery stores and department store rewards cards have to have capital letters, punctuation marks, and numbers to be “secure.” I’ve started keeping an internet username and password journal, and that’s helped me out several times when I’ve been stuck and unable to take action on an email. 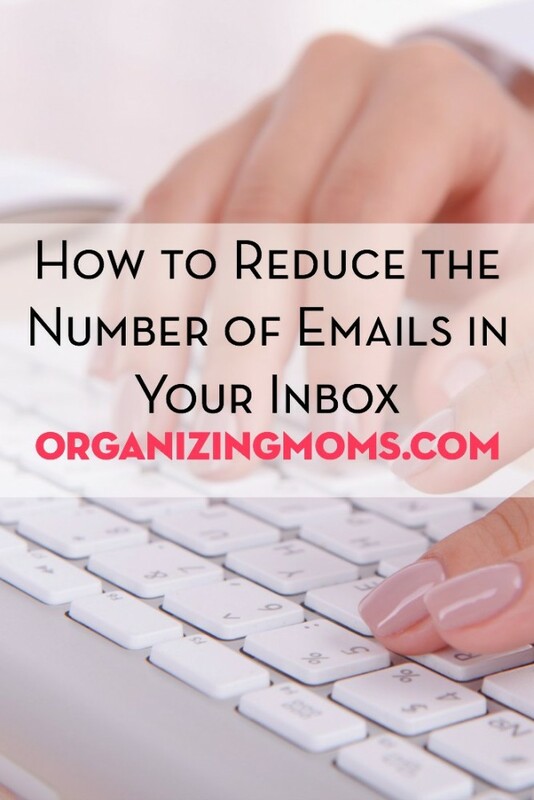 Want to get organizational tips delivered directly to your inbox? 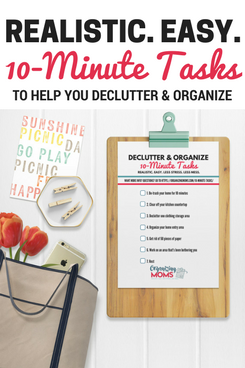 Subscribe to the Organizing Moms newsletter, and get access to my growing library of free printables!